Pork Belly is a highly prized cut of meat in East Asia and perhaps a favourite cut for Chinese, Koreans, and Japanese. It's by far my favourite cut of Pork to roast. 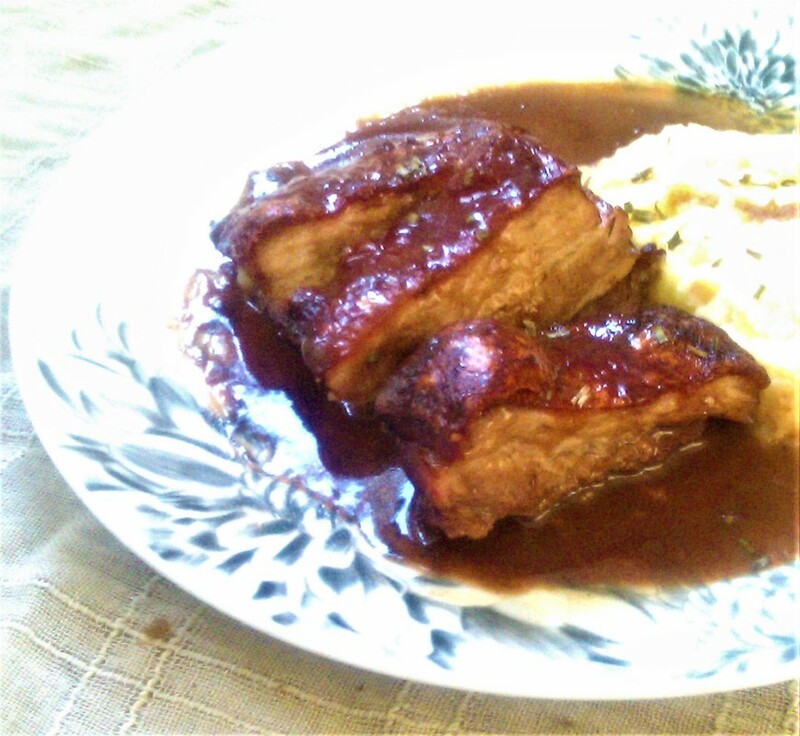 ​The meat is juicy and tender when cooked correctly, and the crackling is sublime. I much prefer the belly of pork to the shoulder; the latter of which I find slightly on the dry side. I have heard that Pork Belly is rather expensive in Korea, due to its high regard and demand. But fortunately here in the UK; where I reside, it's a relatively cheap cut. However the price has been steadily rising as chefs in the UK love to cook with belly. You see the British are squeamish about eating any part of an animal that sounds evenly remotely mysterious, unfamiliar, or informal. Preferring to stick to cuts such as shoulder, leg, or loin. But I will often refuse to buy Pork if I can't get the belly these days. The other cuts just aren't as moist and succulent. 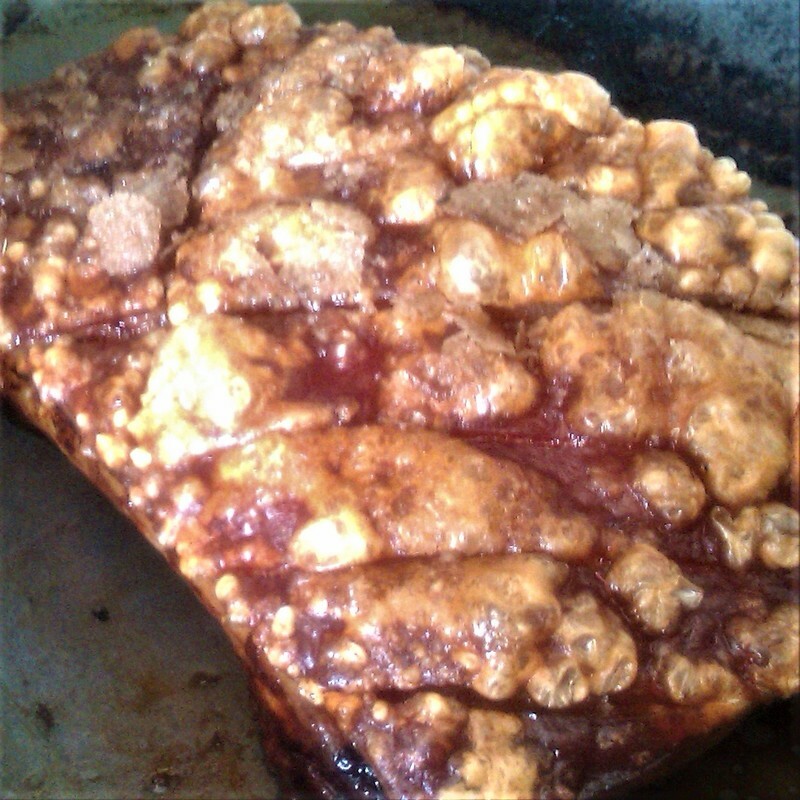 I will admit that it took me a while to understand and get the hang of achieving crispy crackling. But I figured it out, and got the hang of things a few moons ago. Once you get the hang of it, it's easy. 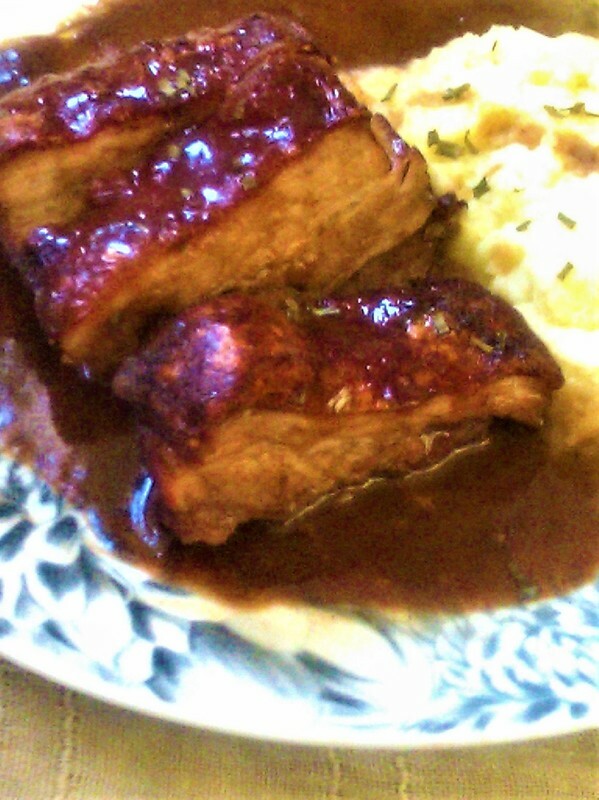 One of my favourite meals is Roast Pork Belly with Apple Brown Gravy. It's a dish I created myself and it's mouthwatering-ly delicious and very tasty. Forget all you've been told about achieving crispy crackling. It's easy and simple. No refrigeration or gimmicks. Just simple steps that require very little effort or time. ​Leave the Pork Belly to sit out for an hour before cooking. 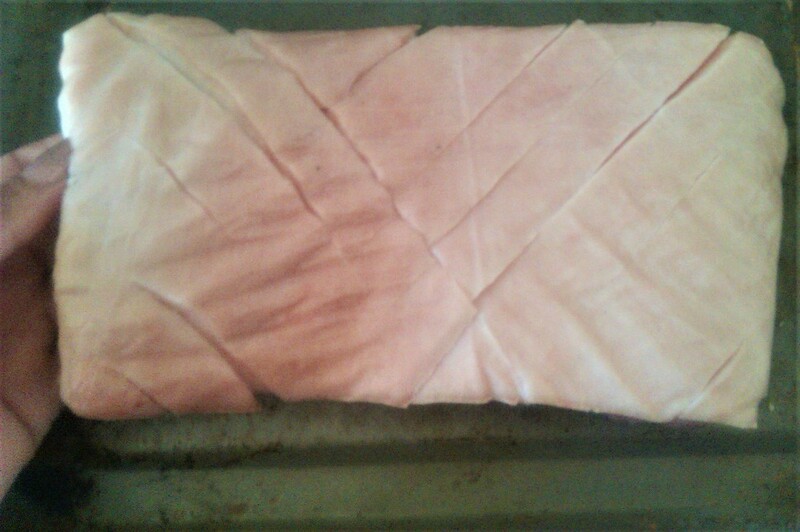 Pat the Pork Belly rind/skin dry with a paper towel, and score the skin on a diagonal all across the belly skin. Or ask your Butcher to do so. My supermarket bought Belly Pork was already scored before my purchase. Heat your oven to 250C which is maximum temp for my oven. The Belly will Roast for 2 hours, starting on maximum heat and finishing on maximum heat to get that crackling. 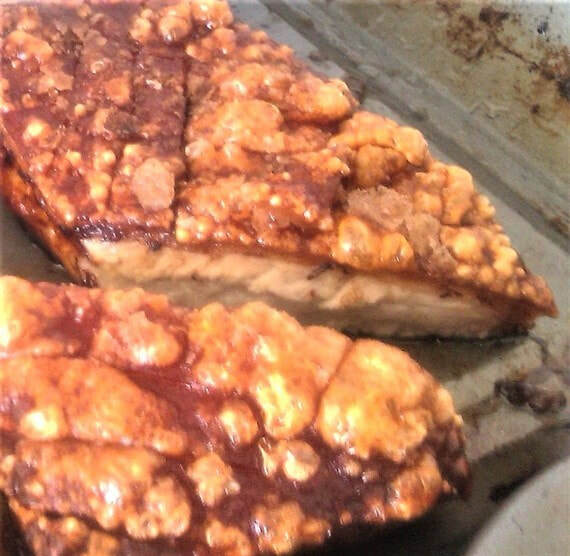 In a baking tray or half sheet pan large enough to hold the drippings for gravy, cut up 2 onions and 2 garlic bulbs and lay them on the bottom of the baking tray to provide a bed for the Pork to sit on. 6 tbs of Duck fat and pour it over the rind and lightly massage this fat in. 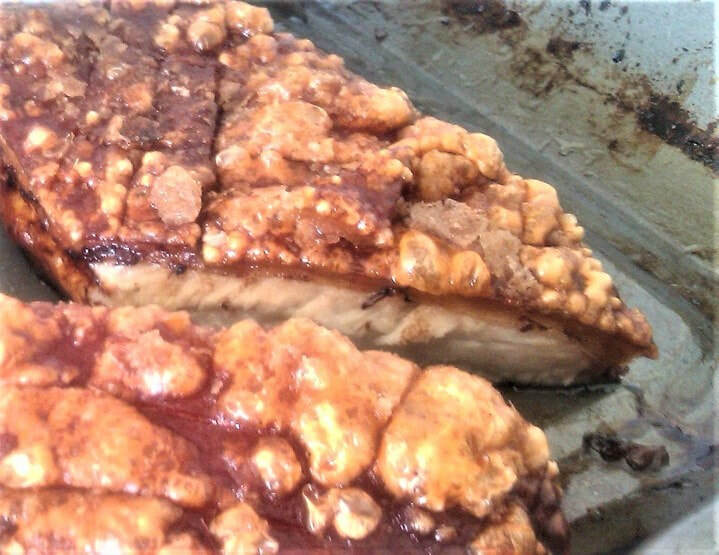 It creates beautiful gold crispy crackling. If you can't get Duck or Goose fat; which is equally good, then Vegetable oil or Olive Oil will have to do. But it won't make the skin as crispy and as bubbly and crunchy. Salt the rind. It is an absolute necessity, but do not worry about creating a salt crust- it's simply not needed. Just salt the rind evenly and generously, and rub the salt in lightly with your hands to ensure the salt is evenly distributed. 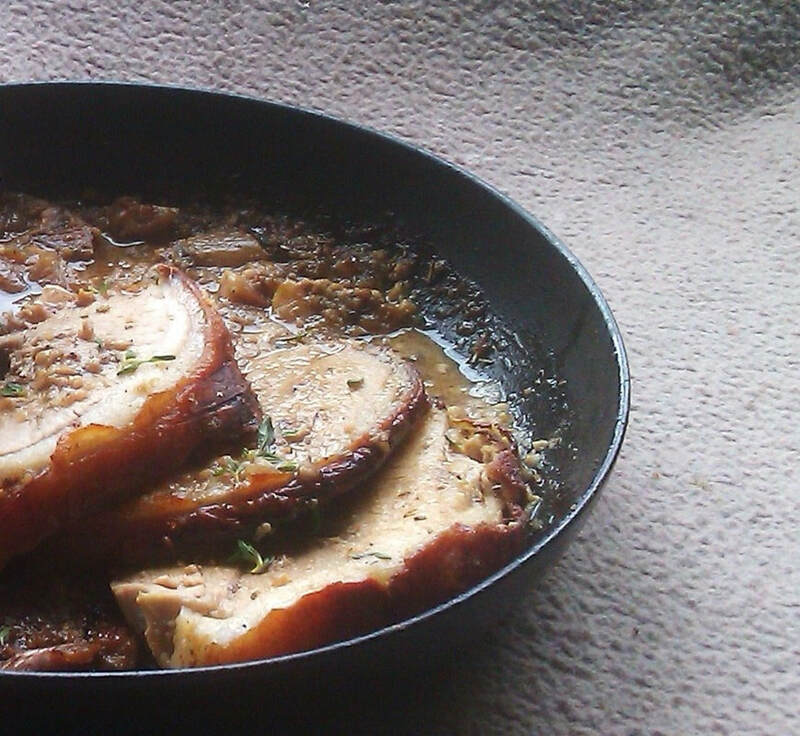 Lay the Pork securely on the bed of onions and garlic. 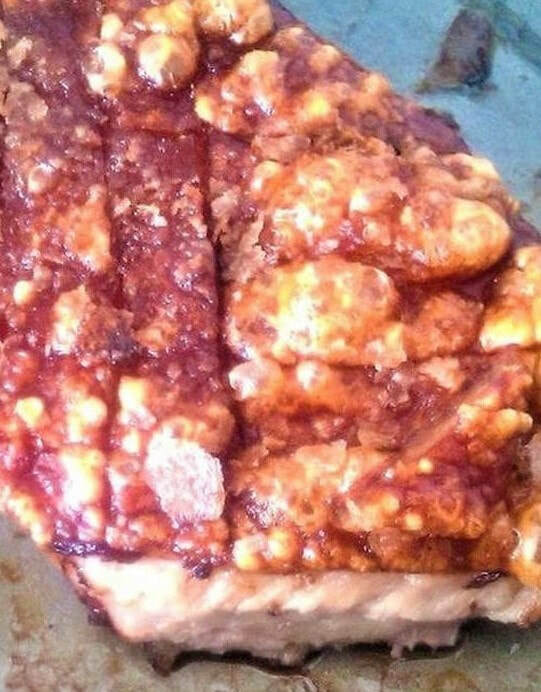 Pour in a quarter cup of pure Apple Juice and a quarter cup of Prosecco or White Wine-DO NOT POUR THIS OVER THE PORK, only pour it around to catch the drippings. 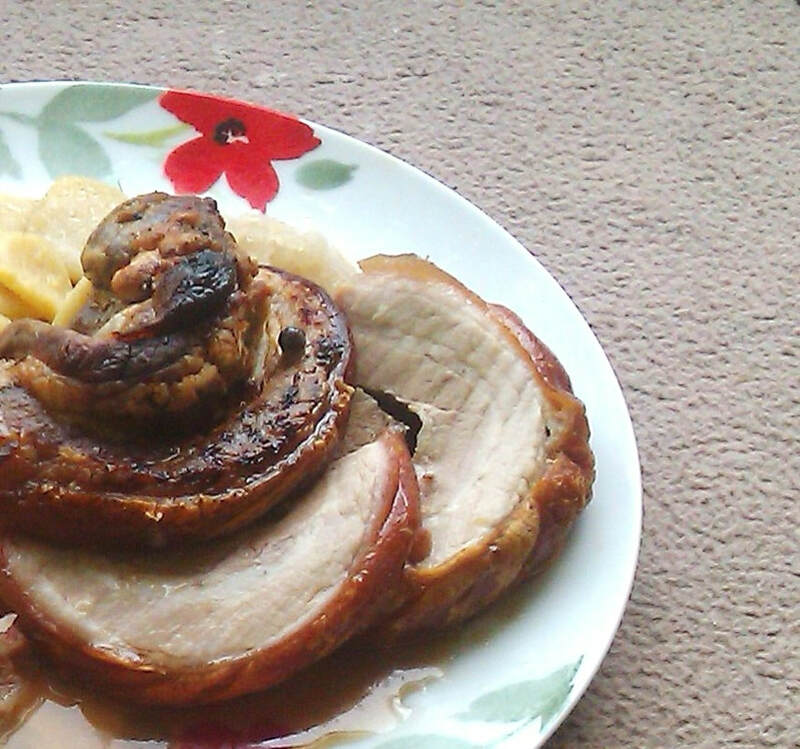 Make sure that you don't accidentally pour any liquid on the Pork, otherwise you won't achieve crispy crackling. The Pork will cook for 2 hours for soft succulent meat and crispy crackling skin. Part 1: Start by Roasting the Pork on a blast on 250C for 30 minutes. Part 2: Then turn down to 170C for an additional hour-1 hour to be specific. Part 3: After that 1 hour in addition to the first 30 minutes, give the Pork a final blast again back up at 250C for 30 or 40 more minutes. Check now and then to ensure the Pork isn't burning, and the liquid hasn't dried up in the baking tray . If you need to add more liquid to the pan do so. If the Pork is burning and blackening too much then cover with foil until the last blast of heat to ensure crispy skin. Leave the Belly to rest for at least half an hour before slicing. 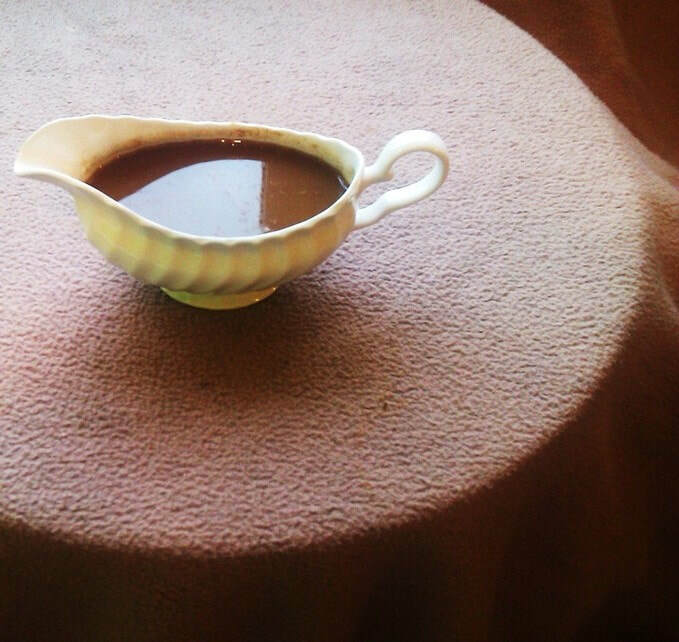 See Gravy Recipe Below.